For other uses, see ZTE (disambiguation). ZTE Corporation is a Chinese multinational telecommunications equipment and systems company headquartered in Shenzhen, Guangdong. ZTE operates in three business units: carrier networks (54%), terminals (29%) and telecommunication (17%). ZTE's core products are wireless, exchange, access, optical transmission, and data telecommunications gear; mobile phones; and telecommunications software. It also offers products that provide value-added services, such as video on demand and streaming media. ZTE primarily sells products under its own name but it is also an OEM. ZTE is one of the top five largest smartphone manufacturers in its home market, and worldwide, in the top ten. ZTE, initially founded as Zhongxing Semiconductor Co., Ltd in Shenzhen, Guangdong province, in 1985, was incorporated by a group of investors associated with China's Ministry of Aerospace. In March 1993, Zhongxing Semiconductor has changed its name to Zhongxing New Telecommunications Equipment Co., Ltd with capital of RMB 3 million, and created a new business model as a "state-owned and private-operating" economic entity. Ties to the state notwithstanding, the corporation has evolved into ZTE Corporation of being publicly traded having made an initial public offering (IPO) on the Shenzhen stock exchange in 1997 and another on the Hong Kong stock exchange in December, 2004. While the company initially profited from domestic sales, it vowed to use money from its 2004 Hong Kong IPO to further expand R&D, overseas sales to developed nations, and overseas production. Making headway in the international telecom market in 2006, it took 40% of new global orders for CDMA networks topping the world CDMA equipment market by number of shipments. That same year also saw ZTE find a customer in the Canadian Telus and membership in the Wi-Fi Alliance. More customers in developed nations soon followed Telus' lead, and in 2007 ZTE had sold to UK's Vodafone, Spain's Telefonica, and the Australian Telstra, as well as garnering the greatest number of CDMA contracts globally. By 2008 ZTE could claim its customer base was truly global, as it had made sales in 140 countries. In 2009, the company had become the worldwide third-largest vendor of GSM telecom equipment, and about 20% of all GSM gear sold throughout the world that year was ZTE branded. As of 2011 it holds around 7% of the key 3GPP Long Term Evolution patents and that same year launched the world's first smartphone with dual GPS/GLONASS navigation, MTS 945. ZTE claims to devote 10% of its annual revenue on research and development each year, and it could be producing patents and utility licenses at a furious pace. ZTE has filed 48,000 patents globally, and with more than 13,000 patents granted. 90% more patents are invention-related. In two consecutive years (2011 and 2012), ZTE has been granted the largest number of patent applications globally, which is the first for a Chinese company. ZTE has several international subsidiaries. As a subsidiary of ZTE Corporation, ZTEsoft engages in ICT industry and specializes in providing BSS/OSS, big data products and services to telecom operators, and ICT, smart city and industry products and services to enterprises and governments. PT ZTE Indonesia were representative of ZTE with has many customer with PT Telkom Indonesia tbk, PT Telekomunikasi Seluler tbk, PT Indosat tbk, PT Smartfren tbk, PT XL Axiata, and also supply hand held with ZTE Trademarks. ZTE entered the Australian market in 2005, and as of 2009 ZTE (Australia) Pty Ltd acts as the exclusive supplier of ZTE handsets, network cards, and as OEM Supplier to customers, such as Telstra, and Optus in Australia. ZTE Deutschland GmbH was founded in 2005 with headquarters in Düsseldorf; it, as of 2008, had hired 50 people, 60% of whom were recruited locally. ZTE Deutschland GmbH partners with German football club Borussia Mönchengladbach for the seasons of 2016/17 and 2017/18. ZTE Telecom India Private Limited provides distributes telecom equipment and systems. The company also provides repair, support, and maintenance services for its telecom equipment. ZTE Telecom India Private Limited was formerly known as ZTE Kangxun Telecom Company India Private Limited. The company was founded in 2003 and is based in Gurgaon, India. 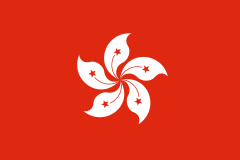 ZTE (Hong Kong) Ltd. (China) serves in such areas as global contract manufacturing. ZTE do Brasil Ltda. was founded in 2002 with headquarters in São Paulo and offices in Rio de Janeiro and Brasília; providing mobile devices and network products for the Brazilian market. ZTE was introduced in the Pakistani market in 1999 with its headquarters in Islamabad and major offices in Lahore and Karachi. Providing telecom equipment, network products and managed services to telecom operators in Pakistan i.e. PTCL, Telenor, Mobilink, Zong, Special Communications Organization (SCO). Zonergy is a renewables company with interests in electricity generation through solar parks in China and Pakistan and palm oil cultivation in Indonesia to produce biofuels. ZTE is a major shareholder and was instrumental in the creation of the company in 2007 but holds a minority of the shares in the entity. ZTEsoft Technology India Pvt. Ltd.
As a subsidiary of ZTE Corporation, ZTEsoft India engages in ICT industry and specializes in providing BSS/OSS, big data products and services to telecom operators, and ICT, smart city solutions and industry products and services to enterprises and governments. Company has several tie-ups with regional governments for implementation of smart city solutions. ZTE operates in three business segments - Carrier Networks(~54%)-Terminals(~29%)-Telecommunication(~17%) Products can be roughly arranged into three categories: equipment used by network operators (links and nodes, etc. ), equipment used to access networks (terminals), and services, which includes software. On October 2010, ZTE's unified encryption module received U.S./Canada FIPS140-2 security certification, which made ZTE the first vendor from P.R. 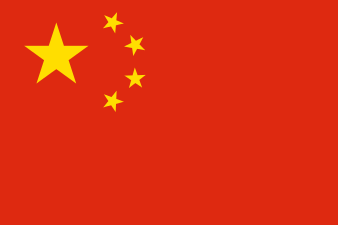 China to successfully validate modules according to the NIST FIPS140-2 standard under the CMVP program. As of 2012, ZTE is the 4th largest mobile phone vendor. It also placed within IDC's Top 5 smartphone vendor leaderboard. Strategy Analytics counts ZTE as 4th largest smartphone vendor (5% market share) in 2Q2013. It also manufactures tablets. The MF60 and MF80 4G mobile hotspots were announced in August 2011. At Mobile World Congress 2014 in Spain, Microsoft announced that ZTE is the latest hardware partner of Windows Phone platform. WiMax products, based on ZTE SDR platform, part of the Uni-RAN technology, Uni-Core core network equipment, and services to support the WiMAX 4G network over 3.5 GHz frequencies. A good number of ZTE's customers are outside of China. During the 2000s, the majority were developing country mobile network operators, but ZTE products see use in developed countries as well. The UK's Vodafone, Canadian Telus, Australia's Telstra, as well as France Telecom have all purchased equipment from ZTE. Many Chinese companies are also ZTE customers, including China Netcom, China Mobile, China Satcom, China Telecom, and China Unicom. In the United States, ZTE USA manufactures mobile phones and broadband devices for multiple wireless carriers including AT&T, Boost Mobile, Cricket Wireless, MetroPCS, Sprint, T-Mobile, TracFone, Verizon, and Virgin Mobile. It may also sell network equipment to these carriers. In May 2016, ZTE became the co-sponsor of German club Borussia Mönchengladbach. In May 2016, ZTE's Nubia brand signed football star Cristiano Ronaldo as a brand ambassador for a reported fee of $4 million. Norwegian telecommunications giant Telenor, one of the world’s largest mobile operators, banned ZTE from "participating in tenders and new business opportunities for 6 months because of an alleged breach of its code of conduct in a procurement proceeding" during a five-month time span ending in March 2009. Contract negotiations to build a broadband network for the Philippine government may have included improper activities. The project was later canceled. In December 2010, ZTE sold systems for eavesdropping on phone and Internet communications to the government-controlled Telecommunication Company of Iran. This system may help Iran monitor and track political dissidents. At least one ZTE mobile phone (sold as the ZTE Score in the United States by Cricket and MetroPCS) can be remotely accessed by anyone with an easily obtained password. In 2012, politicians in the United States of America raised other security concerns regarding ZTE and another Chinese wireless equipment manufacturer, Huawei. As at 30 June 2016, ZTE Holdings (Chinese: 深圳市中兴新通讯设备有限公司), an intermediate holding company, owned 30.57% stake of ZTE. The shareholders of ZTE Holdings were Xi'an Microelectronics (Chinese: 西安微电子技术研究所, a subsidiary of China Academy of Aerospace Electronics Technology), Aerospace Guangyu (Chinese: 深圳航天广宇工业有限公司 a subsidiary of CASIC Shenzhen Group) and Zhongxing WXT (Chinese: 深圳市中兴维先通设备有限公司). The first two entities were state-owned enterprise. 1 2 "Annual Report 2011" (PDF). ZTE Corporation. Retrieved 26 April 2012. 1 2 3 4 "Annual Report 2014" (PDF). ZTE. 2015-04-08. Retrieved 2015-05-22. ↑ "ZTE Ranked World No. 1 in Patent Applications for Second Straight Year". www.cnbc.com. CNBC. Retrieved 20 March 2013. ↑ Brautigam, Deborah (2015). Will Africa Feed China?. New York: Oxford University Press. ↑ "ZTE Corp (ZTCOF.PK): Overview; Full description". Thompson Reuters. Retrieved 2012-05-13. 1 2 Jeremy Wagstaff; Lee Chyen Yee (18 May 2012). "ZTE confirms security hole in U.S. phone". reuters.com. Thompson Reuters. Retrieved 2012-05-20. ↑ "Microsoft Announces ZTE As New Windows Phone Hardware Partner". ↑ "Chinese brand ZTE becomes co-sponsor of Borussia Mönchengladbach". GSM Insider. 22 May 2016. ↑ "Chinese brand Nubia signs Cristiano Ronaldo as brand ambassador". GSM Insider. 22 May 2016. ↑ Steve Stecklow (22 March 2012). "Special Report: Chinese firm helps Iran spy on citizens". Reuters. Retrieved 23 March 2012. ↑ "2016 INTERIM REPORT" (PDF). ZTE. Hong Kong Stock Exchange. 6 September 2016. Retrieved 8 November 2016. Wikimedia Commons has media related to ZTE Corporation.